The Lecrin Valley is easily accessible with the motorway running right past it, direct from Malaga to Motril and up to Granada, plus the newly opened stretch of motorway that goes from Motril to Almeria. It’s about 1h15 from Malaga and 1h45 from Almeria. Exit Lanjaron/Beznar/Pinos if you’re going to Pinos or Restabal. The motorways are also easy links to other historic cities like Cordoba, Jaen, Seville and Guadix. There are also trains to most places from Granada Central Station and buses from Granada to Madrid and Malaga. Info: http://www.renfe.com/ for timetables, routes and prices and locally there are a number of buses (coaches really, air-conditioned too). http://www.alsa.es/ for timetables and routes. With the mountains so nearby, you’re in a great position to go and explore the snowcaps in the winter and for great mountain-biking, walking, birdwatching, painting and sightseeing all year round. 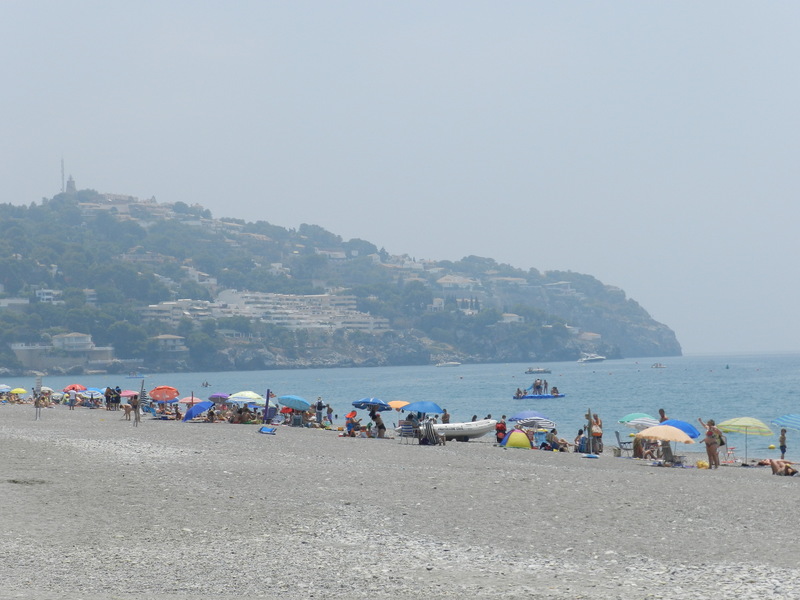 And just down the motorway you’ll find the Costa Tropical beaches are pretty unspoilt compared to many Spanish coastline areas and within 30 min drive away, with Salobrena , La Caleta, La Joya, La Herradura, Almunecar and about 45 mins away is the pretty beach town of Nerja. Sierra Nevada – not just for winter! Now Easy-er to fly to Granada from Manchester!